It’s never a comfortable feeling when your fate isn’t in your own hands. In the world of New Mexico high school sports, one of the most precarious things a team can do is leave their destiny in the hands of the state tournament seeding and selection committees, the decisions of which sometimes defy explanation. 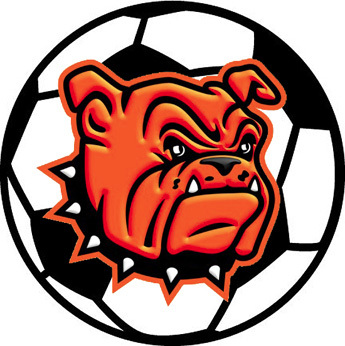 Following a rollercoaster ride of a regular season, the Bulldog soccer team was in the midst of keeping itself in the running for a District 4-AAAA title Oct. 16 at the Mack Chase Athletic Complex, leading Goddard 2-0 at the half, when the wheels came off. The Rockets were able to come from behind in the final 40 minutes to steal the 3-2 win. Following the game, head coach Phillip Jowers and his athletes discussed their new scenario, which unfortunately fell under the category of the one listed above. A title was essentially out of the cards; a trip to the state tournament, however, was not. But in order to put themselves in the conversation come seeding time, they had to accomplish one thing: beat both Portales and Lovington. The ‘Dogs took their first step toward that goal Tuesday, topping the Rams 4-2 on the road. “It was a good game,” Jowers said today. The Artesia boys were able to build a 2-1 lead at the half on a pair of goals off the leg of senior Carlos Martinez. Portales would add a second score to their tally in the final 40, but the Bulldogs answered with two more, as Martinez completed the hat trick and Darius Bishop contributed Goal No. 4. The game wasn’t as constantly chippy as the one the Lady Bulldogs experienced Saturday in Portales, but it got a bit tense at times, with one Ram player receiving a red card. The ‘Dogs’ reaction to that was an example of how the team has grown over the past few seasons. “It wasn’t a super-heated game, but I think Portales is in a situation like we were in a few years back – you haven’t won many games, you’re losing again, you have one game left, and you just get frustrated,” Jowers said. “Ian had made a tackle to get the ball, and somehow, the kid ended up on top of him shoving him back onto the ground. But Ian just stood up and walked away. Jowers said he’s seeing more level-headed play on all fronts from the Bulldogs, and it’s been helping the team stop pressing and start going with the flow of the game. They’ll need to keep that mindset Thursday when they travel to Lovington for a 7 p.m. bout. “I feel like the guys are playing with no pressure right now,” Jowers said. “Lovington is pretty much 100 percent locked in for the district championship after beating Goddard last night, so we know we’re not playing for that. But we could still get second, and if we beat Lovington and they’re the district champ, that will help us in the seeding process, because you get points for beating district champions.